Look, no matter what age you are, if you can swing a golf club you can increase your swing speed. And if you follow a program like this one which lays out everything you need to increase your swing speed, and if you can’t do everything in it….so what! No matter what age you are, you have to look at improvement. If you can’t do something that is meant to help you swing faster, then find something else you can do and do that. People so often get hung up on what they CAN’T do, rather than what they can. 2. Change your attitude to be more positive! Here’s a simple example of this. Imagine if I told you to do 10 press-ups, and you’ll be guaranteed to increase your swing speed by 10 mph once you’ve done them. But because you haven’t exercised for years you can only do 1 press-up. I know for a fact, in situations like this people will give up because they can’t do the prescribed number of repetition of an exercise. But that’s the wrong attitude. If you can only do one press-up each day, then in a couple of days you will be able to do 2 press-ups. In a week’s time you might be able to do 3 press-ups. Then in a month you might be able to do 10 press-ups, and add 10 mph in swing speed to your swing speed. That was just an analogy of course. Doing 10 press-ups probably wouldn’t help you add 10 mph to your swing speed… OR WOULD IT?! You see, if you haven’t exercised in a while then the only way is up. And you’ll find that you can make B-I-G improvements in your strength, flexibility, power etc. compared to someone who has been working out a long time. And with big improvements, come nice improvements in swing speed. So if you’re over 60 and haven’t exercised in a while, then following a program like this one, and just doing what you can and improving all the time, will help you to reap big rewards. Finally, on this topic, another complaint I hear from golfers is that they have bad knees and so they can’t exercise. Or they have a bad back, or they have a shoulder injury…and the list goes on. The last time I checked, none of us have perfect bodies. So if I gave you 10 exercises to increase your swing speed, and you can only do 5 of them because of old injuries….don’t you think it would be better to do 5 rather than none? Look at improvement…whenever you’re doing anything to increase your swing speed (or any other area of your life for that matter). Ok, so that’s my pep talk for today. From now on…I don’t want to hear ever again from a golfer that they’re too old to increase their swing speed. You’re never too old. As long as you can swing a golf club, you can try to increase your swing speed so you hit longer shots. it’s not that important because what really matters is putting, because that’s where you make your scores. important club in their bag is the driver. It’s simply because of this fact… the shorter the shot into the green the closer on average you’ll hit the ball to the hole. shot to the hole. But what if you hit the ball 30 yards further and you had 120 yard shot into the hole. Do you think if you had 30 yards less into each hole you’d be on average closer to the hole? Your worst shot from 120 yards will ALWAYS finish closer to the hole than your worst shot from 150 yards out. at the end of the day…it comes down to simple statistics. The closer you get to the hole, the lower your scores will become – on average over time. will go up, not down. So when you add 30 yards to your drives, you need to know exactly what you’re doing so that they are accurate yards. And to help you do that, here’s a program I suggest you invest in. There’s a popular misconception among average golfers, that if you gain distance you’ll be less accurate. I’m not sure where that misconception came from – BUT it’s wrong! Look… you can hit the ball longer and be MORE accurate, because if you look at the main things you can do to hit the ball longer, like…. …there’s nothing in that group that will make you less accurate. 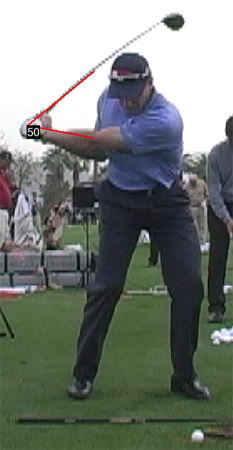 For example, if you increase the lag in your downswing you’ll probably become more accurate as well as longer. If you gain swing speed, you’ll probably be more accurate because the club will be accelerating more through the ball better. If you get stronger, more flexible and faster, you’ll be able to control the club better as you’re swinging. And if you get equipment to suit your golf swing, you’ll have more confidence to go after the ball. All and all, you have nothing to fear in trying to add more yards to your drives. And when you do, you’ll probably see that the distance you add is more accurate. 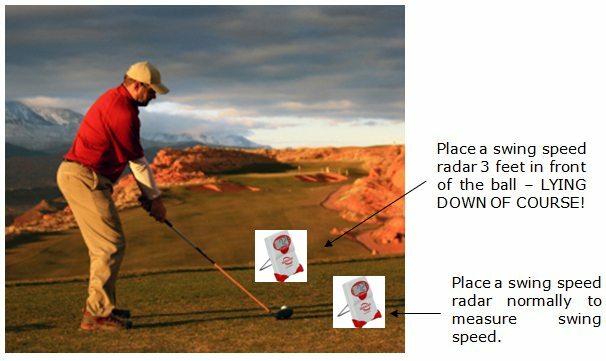 Plus, here’s another factor that a lot of golfers don’t consider when trying to add distance to their drives. But whenever you’re trying to add distance to your shots, you’ve always got to be looking at the ball flight to ascertain what’s going on. 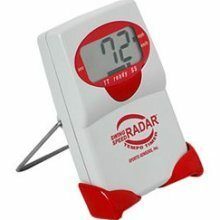 For example, I helped one of my students go from averaging 85-95 mph swing speed, to averaging 105 – 115 mph. So that’s a 30+ yard increase in distance just because of the increase in swing speed, BUT… he was hooking everything. And the reason he was doing that was because of the shafts in his clubs. You see, he had regular shafts in his clubs, and because he was swinging much faster the shafts were no longer compatible to his new swing speed. He had to get stiff shafts in his clubs to fix this problem and get his accuracy back, along with 30 yards in extra distance. Now as far as accuracy is concerned, it really comes down to what the clubface is doing at impact. Because although the accuracy of your shots is determined mainly by path and face angle at impact, the face angle is the most important factor. Where your clubface is pointing at impact accounts for 80-85% of the direction. So to help you hit your golf shots with a square clubface while hitting them longer, I’m going to give you a great drill that you’ve probably never seen before. To do this drill, you’ll need to get a golf ball box that has three balls in it. Take two golf balls out of the box so just one golf ball is left. Then I want you to position this box directly at your target and make sure the ball is at the end where you’re going to strike the box. I suggest you do this with a 5-iron. because you’re going to be hitting into a square edge rather than the round ball. So smack the crap… ah… ball rather, out of the box! The only problem with doing this drill is that after just one shot you’re going to kill the box. for longer and straighter drives. If you watch any great golfer’s swing they will have great rhythm and timing. But “trying” to swing with great rhythm and timing is wrong. You shouldn’t “try” to force these things to happen in your swing because trying causes tension. Important Note: Unnecessary tension in the golf swing destroys timing, and rhythm. Instead, I think it’s better if you simply observe great golfers swings over and over again to get a sense of the rhythm and timing needed in the golf swing. To do this you can record swings of your favorite golfer that have great rhythm and timing, e.g. When I started looking into the tempo of the golf swing and how to practice it I found that professional golfers swing a lot faster than most people think. But the reason their swings look so rhythmical, smooth and slow is because everything in their swings flows smoothly. 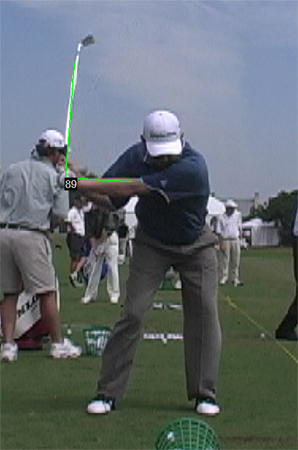 There’s no jerking movements, and that smoothness gives the entire swing an appearance of being smooth and slow. ….and I started using the audio tracks supplied with that book to swing to the tempos suggested. From using this audio CD myself to practice with, this is what I’ve found. The faster the tempo I used the shorter my swing became. I think my natural tempo is 24/8 but when I practiced with that tempo I found my swing was too short. So I’ve now gone up to using 27/9 tempo and this is working well for now. So if you get this book, and I highly recommend you do, I think you should work slowly into these tempos by starting at 27/9 and then trying the other quicker tempos after that tempo is comfortable. That’s just a suggestion however. BUT no matter what you do, you’ll probably find that the tempos on that CD are a lot faster than you’re used to. 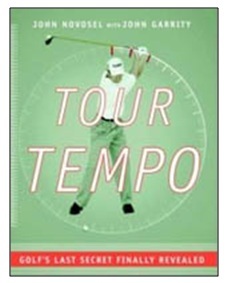 So when you get this book just experiment with the different tempos. Now the best thing about the audio CD that comes with the Tour Tempo book is that the tones or words are spaced so you have time to react to them. As I said, I’ve tried swinging to a metronome and that’s really tough. You simply don’t have the time to react to the beeps and change directions from the backswing to the downswing. When you swing a golf club consciously you have a lot of thoughts going through your mind about what you should be doing mechanically, along with thoughts about the possible outcome of the shot. But when you swing subconsciously you don’t have any thoughts going through your mind about mechanics or the possible outcome of the shot. This means you just swing automatically to the best of your ability, and generally when you’re doing this you hit good shots and you play your best golf. So obviously swinging subconsciously is the best way to swing a golf club. To do this consistently you need to learn how to do the following two things..
Switch off your conscious mind just before you start your swing, leaving your subconscious mind free to swing the golf club to the best of your ability. Program your subconscious mind with the perfect golf swing for you. To help you start doing this consistently, I give two audio tracks to my students to listen to. But listening to those audios is only the start, because you’ve undoubtedly wasted many, many shots because of your conscious mind interfering in your shots (i.e. telling you how to swing the club or what to avoid etc.). You can only stop this from happening by learning to swing with your subconscious mind consistently. Well, when playing any golf shot you need to have a technique to distract your conscious mind and allow your subconscious mind free reign to perform the swing that you have programmed yourself with. Because without a technique to distract your conscious mind it is always in a constant state of flux. And to demonstrate how hard it is “try” to quieten your mind, do this. Right now see how long you can hold the one thought of a pink elephant in your mind before another thought comes along. And it will never be long even if you practice this forever, because of the fact that your conscious mind’s purpose is to analyze, question and doubt. So unless you learn how to consistently swing with your subconscious mind your golf game will never be consistent and you’ll always play well below your potential, because the times when you’ve hit your best ever shots and played your best ever rounds is the result of you automatically swinging with your subconscious mind. No doubt you’ve heard about top golfers saying they’ve been in the “zone” and you’ve been there as well. The “zone” is simply when a person switches off their conscious mind and executes whatever skill they’re performing using their subconscious mind. But as you’ve already proven to yourself, if you “try” to consciously quieten your conscious mind, you’ll end up fighting with your mind and you’ll get worse instead of better. Now golfers that play nowhere near their potential almost always play with their conscious mind, which means the subconscious is not free to swing the golf club. And this means most golfers consistently play well below the potential they’re capable of. You can quite easily tell after every shot you hit whether you’ve used your subconscious or conscious mind to hit the ball. Simply by being aware of any tension in your body after the shot. If you have any major tension like you’ve been consciously controlling the shot then you’ve used your conscious mind to play the shot. And here’s another great way for you to see for yourself the difference between the subconscious and the conscious mind. Get a pen and in the left-hand box below I want you to sign your name and as you do notice the way the pen flows over the paper. Then I want you to try to consciously copy the signature exactly as you’ve just done it, this time in the right box…. Did you notice the big difference between the two movements? See, trying to consciously copy your subconscious signature you would’ve noticed how slow, forced, and unnatural your hand moved as opposed to the free flowing actions of the first signature. This is because your conscious mind produces tension when trying to copy anything. So your perfect golf shots are clearly produced by your subconscious mind. But when you consciously try to copy what you did to hit that perfect shot you naturally get the same forced, unnatural result that you received when you tried to consciously copy your signature. Clearly the only way to copy what you did to hit your perfect golf shots is to reproduce that mindset. The only way to consistently do that is through using your subconscious mind to automatically swing the golf club. And the best way of doing that consistently is by using the tools I give you when you become a student of mine. All right, that’s the end of Part 5 of this Report. I hope you enjoyed it.